It’s Open Studios time again! This year I’ll be showing again in the local Open Studios Art Tour. 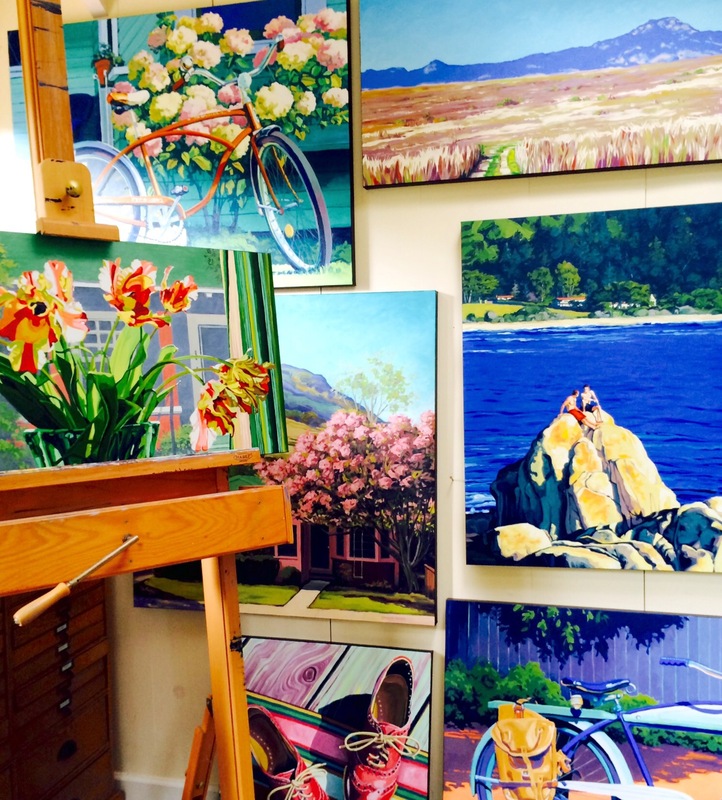 It’s a fun event, with over 200 artists to visit, all over San Luis Obispo County. October 10 and 11, 10 to 5 daily. (First weekend of the tour only). Info, online catalog and maps. I’m #135. I’ll also have this piece in the 12 x 12 x 12 Preview Show. Artists participating in Open Studios will be sharing small works, 12 x 12 inches. They’ll be up at at Art Central Gallery, during Art After Dark, October 2, 6-9pm. On display October 3 – November 2, 2015. For those of you that can’t make it, I’ll be posting the new work to the web site after the show. 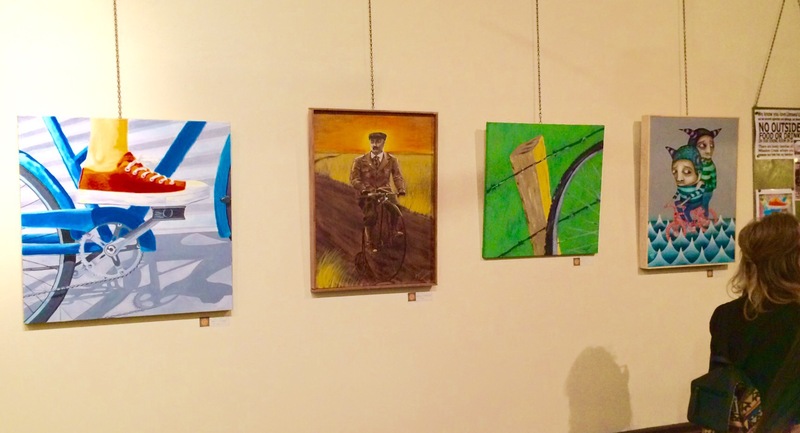 Check out the Joy Ride show at Linnaea’s. 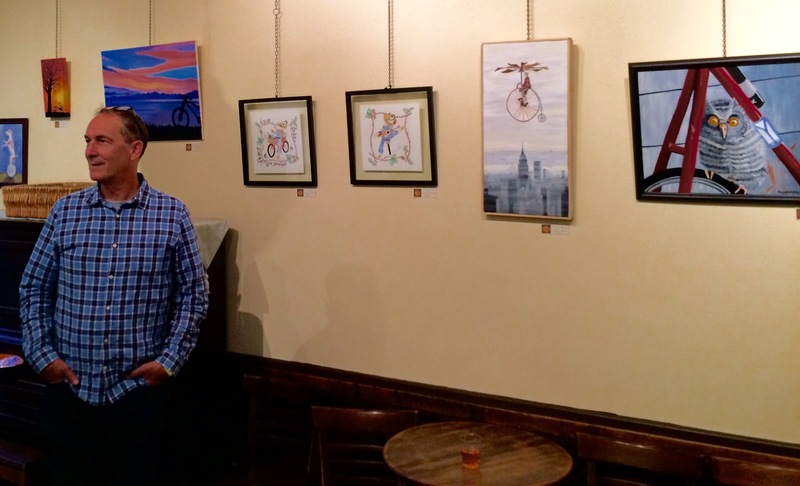 I have a couple of pieces up at Linnaea’s for May; Bike Month in San Luis Obispo. 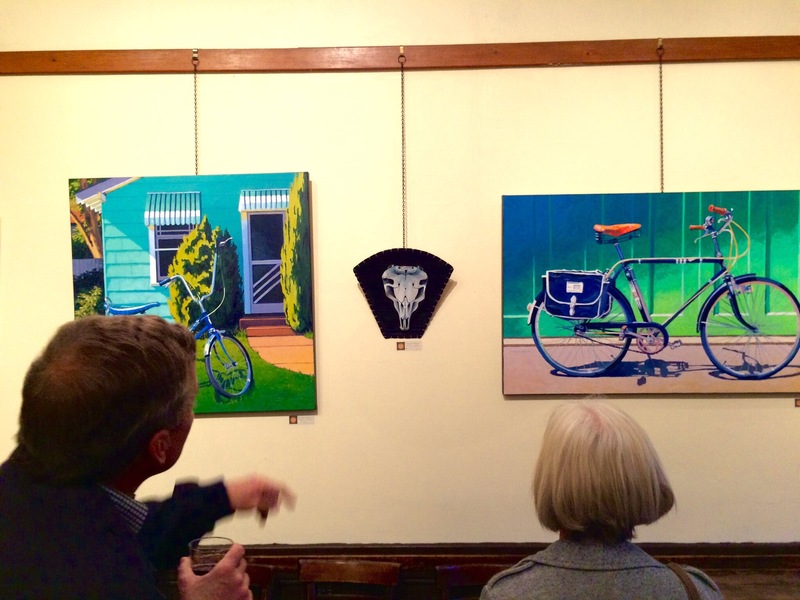 The Joy Ride show is a fun collection of bicycle inspired images, with a percentage of sales going to support the Bike Coalition. JoyRide runs through May at Linnaea’s Café. Linnaea’s is located at 1110 Garden St. in San Luis Obispo, CA.